With a new baby in the house, it takes a lot of energy to keep up. When you add a toddler into the mix who is in turns enthusiastic about her new brother, and cross because she is no longer the centre of attention, it's a bit of a volatile mix. I'm well aware that Ellie is experiencing feelings of neglect and loneliness, so I make a big effort no matter how tired I am to spend time with her and let her know she is loved. Part of that is continuing on with our mama/daughter baking tradition. With the large box of fruit we had available, we decided a fruity baking effort was called for. I decided that it should be something that would help enhance mama milk supplies, so what better to make than an apple oatmeal concoction? Super easy, delicious, very forgiving in terms of ingredients and both toddler and mama approved! 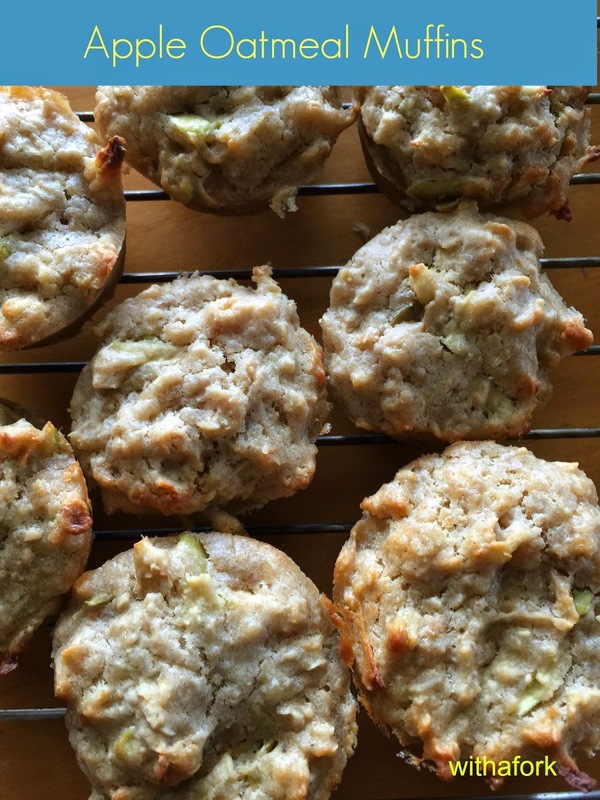 While I have called these apple muffins, they could quite easily be any other type of fruit as well. Preheat oven to 180C and prepare your muffin tray. Mix all the ingredients together. The mixture will be quite thick. Spoon into your tray and bake 10 - 15 minutes. Other fruit options could include grated or chopped pear, apple, banana, berries, nectarine, peach, strawberry, cinnamon, apple and rhubarb, coconut - use your imagination! Any type of flour, milk, oil and fruit can be used - I have listed what I used but feel free to experiment. For extra milk boosting qualities, I also added two tablespoons of brewers yeast to my mixture. I don't think that this impacted the flavour at all. I felt guilty that she was being so good and having so little attention paid. It was a win for everyone - I get fed and she gets to bake (really she just likes to lick the bowls). Haha.